EVEREST INTERNATIONAL FILM AWARD 2019 going to take place at Hong Kong. There will be total 20 different category popular awards. 17 different category of Nepali film and 3 different category of different language film will receive popular award. Film which were released in 2018 will the eligible for the participant. Award ceremony will take place in Queen Elizabeth Stadium at Wan Chai Hong Kong. This stadium have three thousand and five hundred audience capacity. Date of event and nominees will be published in March according to the organizer. 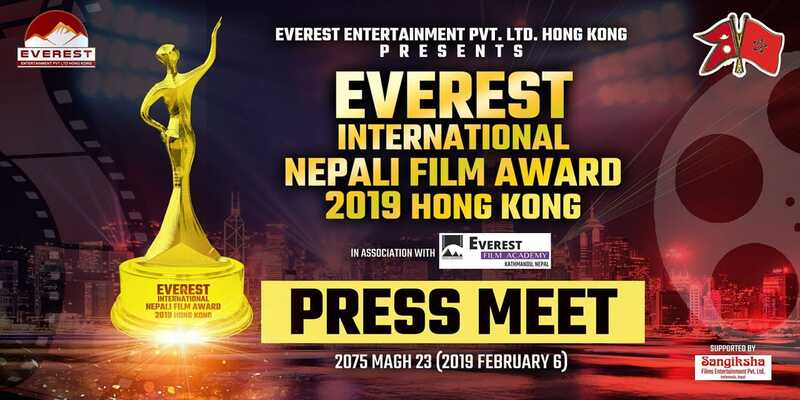 EVEREST INTERNATIONAL FILM AWARD is one of the famous award in Nepali film industry so the final decision will also be decided on its popularity. Senior actor Sunil Thapa is the coordinator of the jury. The award is organized by Everest Entertainment PVT.LTD.